This is a brief listing of speakers used in Magnatones. Permoflux ? 8", 10" ? AlNiCo 1955 and earlier amps, some 1956. 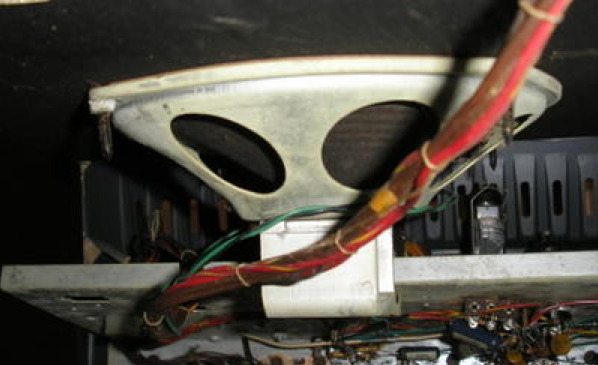 Tweeters were used on various amps between 1957 and 1965. These were usually supplied by Cinaudagraph (early on) or Oaktron. 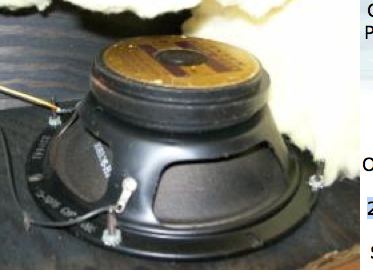 At our manufacturer's page, you'll find the history of some of Magnatone's speaker manufacturers: Jensen, Muter, Oaktron Oxford and Permoflux. At left is an 8" Oxford used in 210 amps of 1959-61. At right is the lightweight 8" used in the M2 and M4. 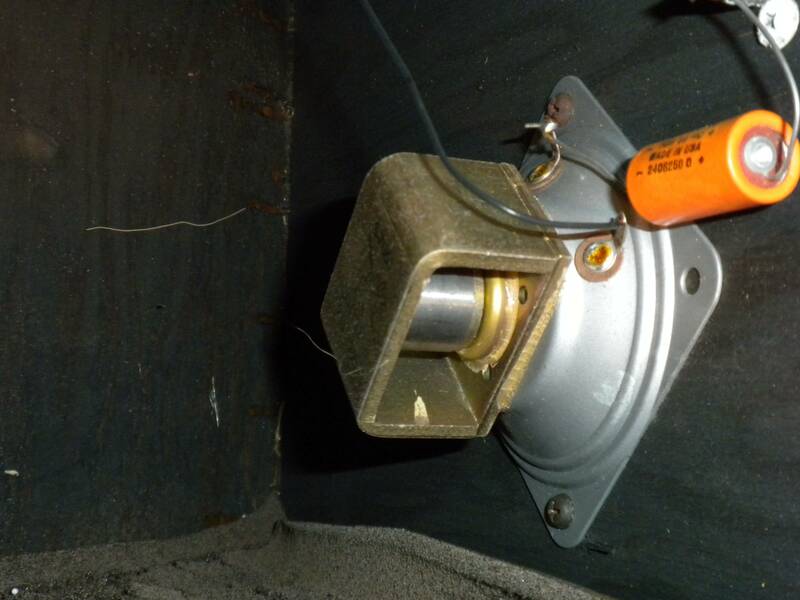 Compare the size of the magnet of this speaker and the 80L5N below. It looks to be an Oxford, but it could be a Oaktron. At far right, the Oxford 80L5N-1 8" used in the M10, M14, and M15. Sometime in 1964, they started using Jensen C8P's (I've seen the C8P with 220505, 25-1016 numbers). Oxford 15L5N-1 used in the M7 and M9. 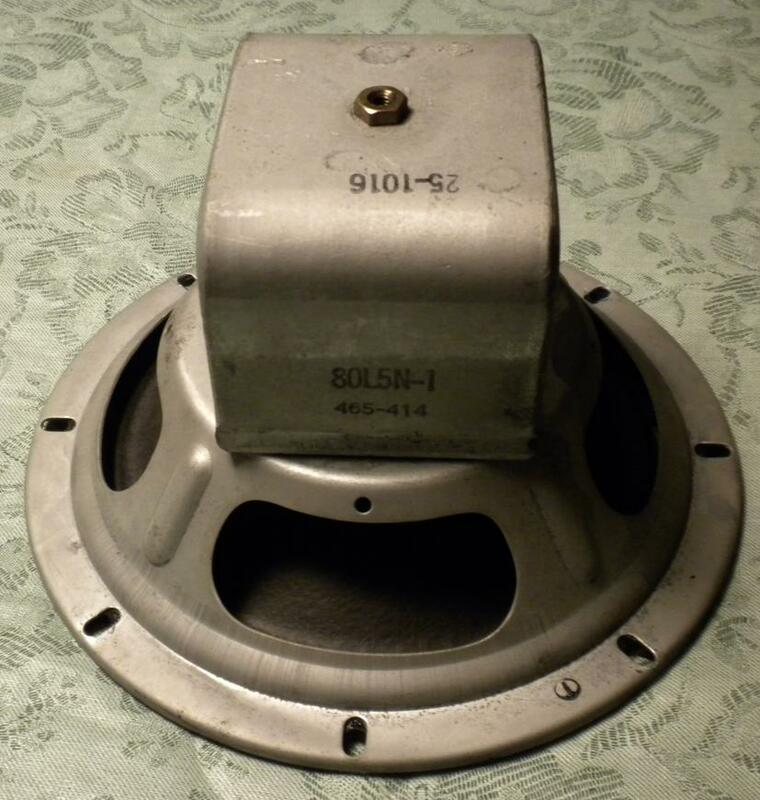 This is a different 15" Oxford speaker than the Oxford AlNiCo used in early M12's and M13's. 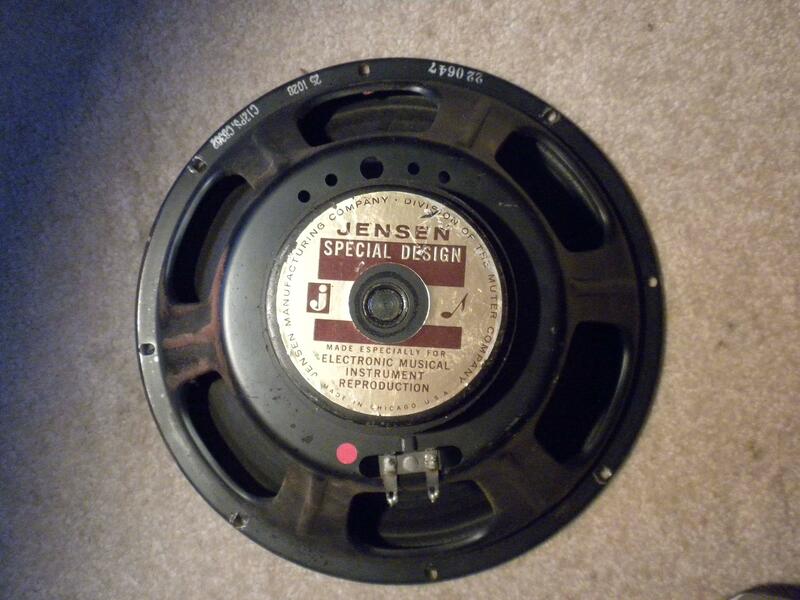 The M12/M13 switched to a Jensen ceramic early on, and the M7 switched to a Jensen ceramic around 1966. 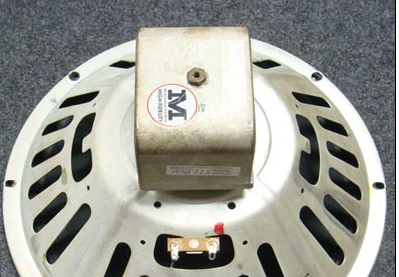 3" Oaktron speaker used in several Custom amps as a "tweeter", including the M10, M13, M14, and M15. Magnatone switched to Jensen ceramics around 1965. There was a transition period where both were used. 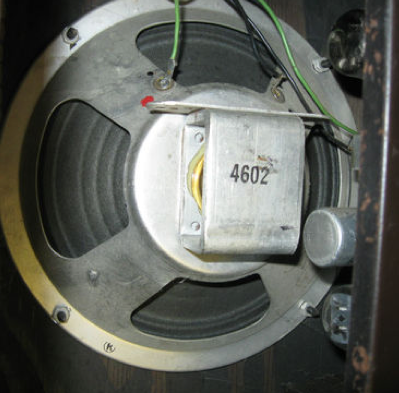 For the M12 and M13, the switch to Jenseon C15N speakers occured much earlier in 1964. Oxford 12" speaker used in the M6, and M8. Notice the cabinet doesn't have the divider between the speaker and the top of the cabinet. Magnatone called the cabinets with the divider compression chambers. 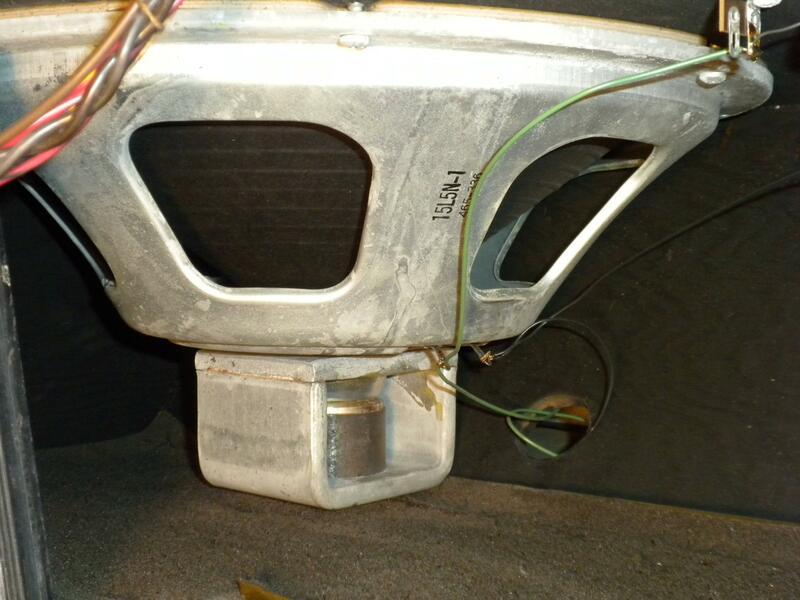 This speaker looks like the 12L5N-1 (below) but I haven't verified thats what was used (_if you know, please contact me. The Oxford 12L5N-1 was used in several early 1960's Magnatones including the 480 and 280A. It was also used in Fenders and Guilds of the same era.